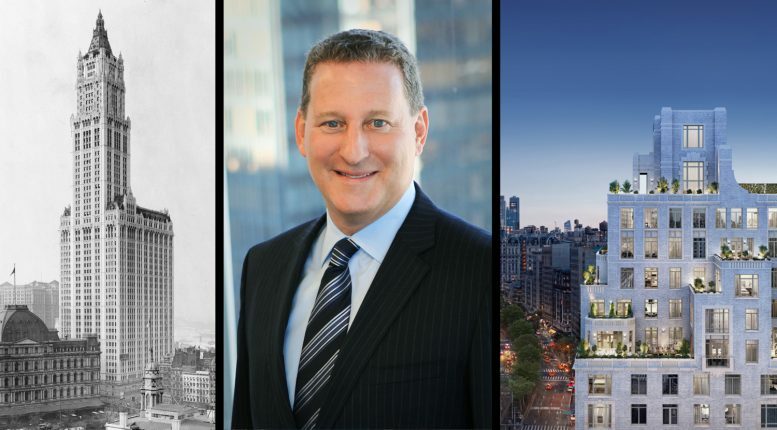 Since its founding in 1990, Kenneth Horn’s Alchemy Properties has acquired over two million square feet of residential space in New York City. During those 28 years, Mr. Horn has personally overseen the sales of $2 billion of real estate, all with a staff of about thirty people. With a full slate of new developments in the works, YIMBY sat down with Ken to discuss the firm’s current plans. Can you give a run-down of Alchemy’s current development pipeline? Our goal as a firm is to build and restore meaningful properties in New York and beyond; we are stimulated by structuring complicated deals and have amassed an impressive and wide-range portfolio as a result. 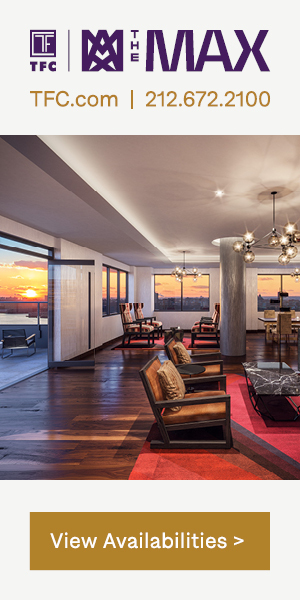 For The Woolworth Tower Residences, we purchased the upper 30 floors and built 33 condominium homes with the use of a single hoist. It took several years to restore the terracotta alone; anyone who says it is easy to build on top of a commercial building likely hasn’t done it! We are very proud of the finished product and are pleased to announce that closings recently commenced. 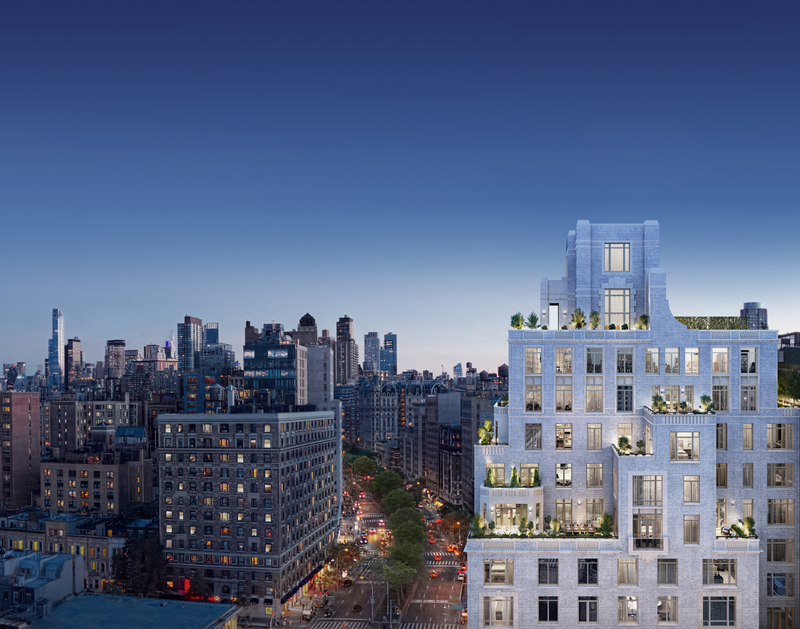 We have another new condominium in The NoMad area, aptly named The NOMA, which is selling at a rapid pace. The neighborhood is thriving with the influx of new restaurants and retail and the new Virgin Hotel – the area has quickly become a top destination in New York. Closings and move-ins commenced 3 months ago. 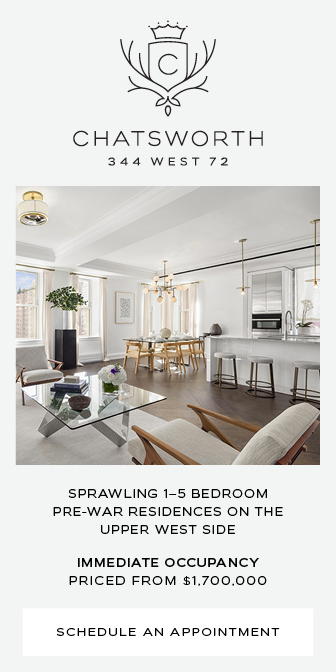 At 250 West 81st Street, we hired Robert A.M. Stern Architects to design a classic, intimate building of 31 residences with a robust amenities offering, over 6,000 square feet. It’s interesting to note that the largest homes sold first and we are approaching 85% since we launched in February 2018. This is one of our fasting selling developments to date. 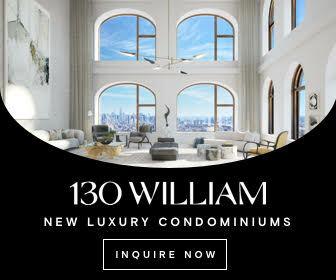 The Woolworth is the latest in a series of conversions and new residential developments in the blocks surrounding City Hall Park. 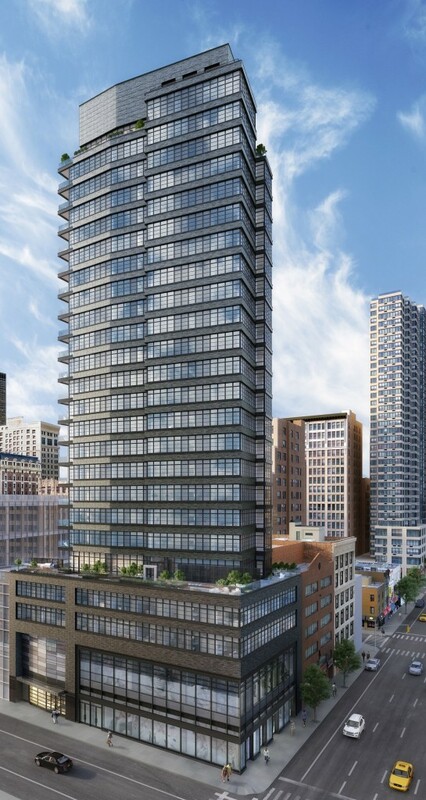 With 30 Park Place complete and the Park Row buildings now rising, what additional changes to the neighborhood do you expect as we head into the 2020s? It is not a surprise that the City Hall Park neighborhood has become a sought-after area; we always believed it in and were lucky to have invested when we did. The landscape changes by the week and it’s been very exciting to watch. As we head into the 2020s, I predict that this pocket of New York will continue to attract families and tourists who want to experience authentic New York. There will continue to be a steady uptick in activity as more green space is created, brand-name flagship stores move in and sophisticated restaurants open. The convenience of various subway lines promotes accessibility, which is also quite appealing. It’s also important to remember that it borders some of the most dynamic neighborhoods in New York. Alongside any future changes, do you see the blocks surrounding City Hall Park transitioning into a new separate neighborhood from the Financial District, as the area becomes increasingly and decidedly un-Financial? The blocks surrounding City Hall Park have taken on their own personality and have become their own pocket in New York. The area is attracting a new set of savvy buyers who are not only architecture enthusiasts but want to be part of the pulse of the new downtown. The neighborhood is essentially a hybrid of TriBeCa and the Financial corridor; it has become a residential hub that is experiencing a renaissance with cultural institutions moving in, retail and families relocating as financial institutions move farther North. 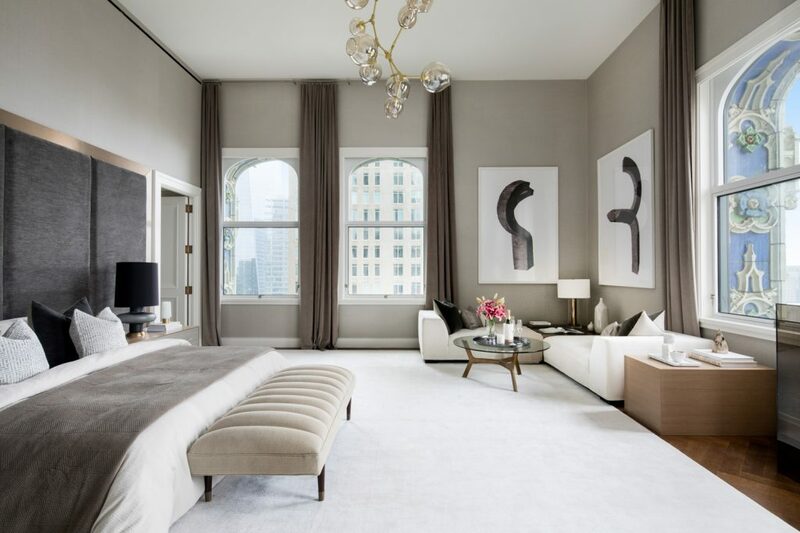 What was the biggest challenge in the Woolworth’s partial residential conversion? We had an enormous responsibility to restore one of the most iconic buildings in the world and we took months to assemble the appropriate teams of artisans; it was important to us to do this correctly and we are thrilled with the outcome. 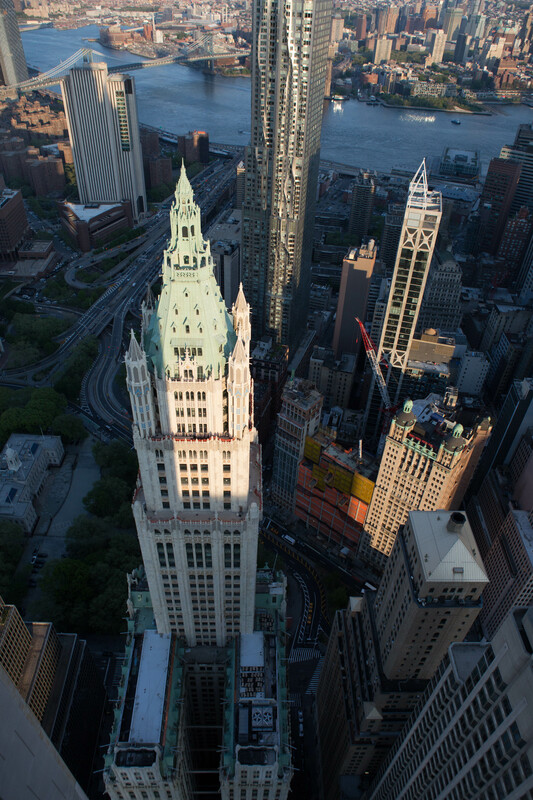 We had some of the most talented artists working on the façade and the surrounds to bring them back to their original splendor; imagine dangling from the top floors of the Woolworth Building in order to measure pieces of terracotta and recreate pieces from 1913! It is hard to fathom and it was years of meticulous design work. The most challenging part was actually building a residential condominium on top of an office tower (that we do not own). Each of Alchemy’s current projects is on the West Side. Has Hudson Yards changed the equation for new development in New York City and is your focus intentional or coincidental? This is coincidental, we purchase where opportunities present themselves provided we feel the economics are favorable. As a company, we are particularly intrigued by structuring complex deals; almost all of the buildings in our portfolio, commercial and residential, took months or years to put together. 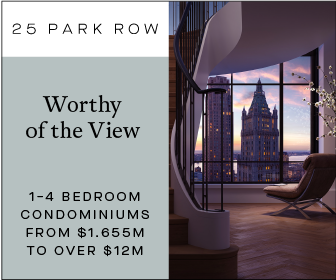 The Woolworth Tower Residences is an example of a deal that took months to structure and then time to put together our plan for Landmarks. It helped that it was unanimously approved (which almost unheard of for this kind of project). This was a new kind of pressure and we were up for the challenge; the renovation has surpassed all of our expectations. What is most important about a building’s external contribution to a neighborhood to you as a developer? We pride ourselves on building homes that enhance the landscape of the surrounding neighborhood. For example, at The Woolworth Tower Residences, we needed to take many steps back before moving forward. We took months to hire the appropriate teams of artisans who restored the building including the ceiling coffers from Frank Woolworth’s office which were repurposed in the residential lobby. We want people to continue to look at the historic work of Cass Gilbert’s architecture for the next 100 + years and know that it is stronger and more striking than ever. While Alchemy has taken on increasingly sky-high projects, so far your ground-up work has been limited to under 500 feet. Do you see any skyscrapers in the firm’s future? We look at deals on a case by case basis. It depends on a number of factors including the climate of the market, location, and the opportunity. 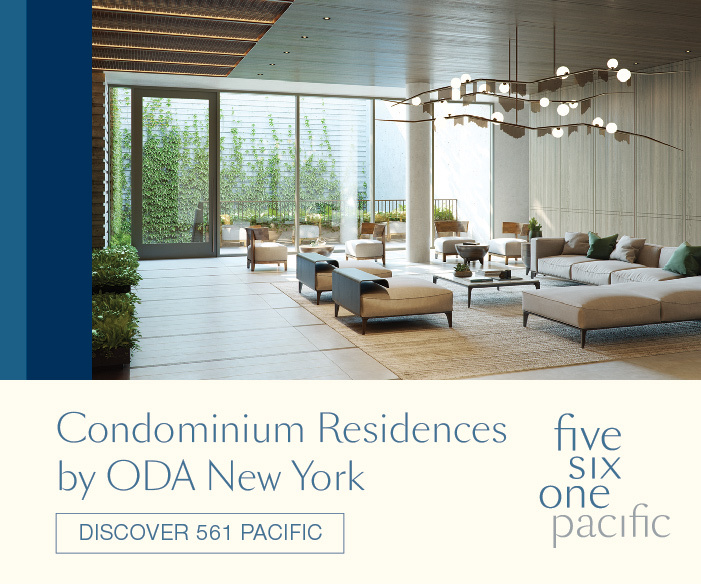 While supertalls tend to attract attention, some of the most successful projects are smaller and more boutique, such as 250 West 81st Street, where we built an 18-story building with 31 residences that have garnered more sales and activity than many supertalls. 5 Comments on "Alchemy Properties’ Kenneth Horn Talks City Hall Park’s Evolution, Converting The Woolworth, And More"
1990 to 2018 is 28 years, not 18!!!!!! It’s unbelievable how many rich people are out there that can afford these apartments. I must be in the wrong business. Hi John Dough. Consider this: According to the new Metro Wealth Index from Capgemini, (It defines “millionaire” as those with $1 million or more in investible assets, excluding primary residence, collectibles, consumables, and consumer durables). Growth is not to be confused with total population of millionaires. 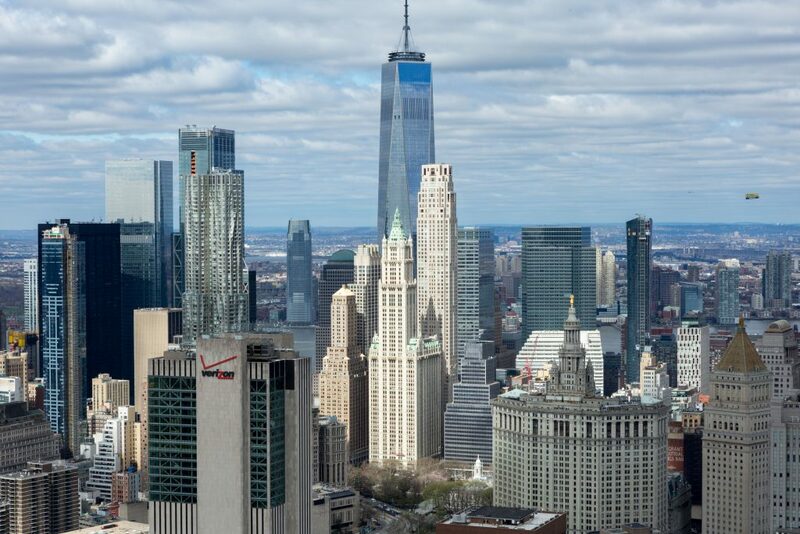 New York still towers over the rest of the country when it comes to sheer numbers of super-wealthy residents with 727,100, up 1 percent from 2010. In second place came Los Angeles, with 255,600 millionaires, followed by Chicago with 212,100 and then Washington, D.C. with 166,200 millionaires. I live in Chicago and I am NOT one of the lucky ones!